Toshiba has expanded its X300 line of high-performance hard drives with the addition of a new model that carries the monstrous capacity of 8 TB. The drive comes with the HDWF180EZSTA product name and joins all other X300 drives that come with 4 TB, 5 TB and 6 TB capacities. 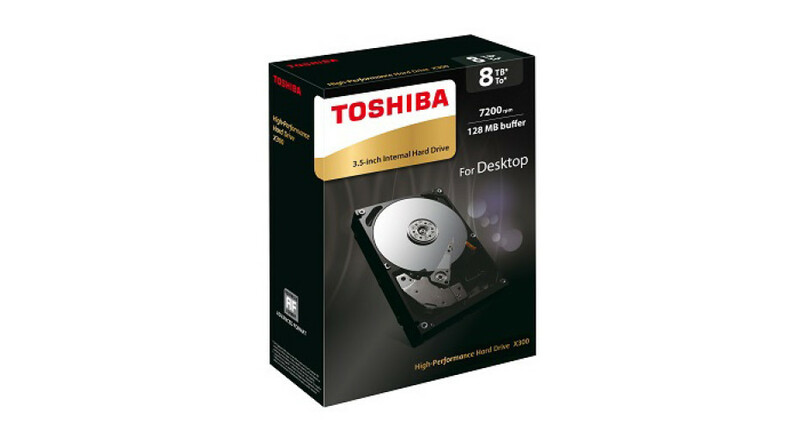 The new Toshiba hard drive continues the trend the X300 line has set – the drive comes housed in a 3.5-inch chassis, supports the latest SATA 3.0 standard and spins its platters at 7200 rpm. In addition the hard drive features 128 MB of cache memory as well as technologies such as Advanced Format, Perpendicular Magnetic Recording and Tunnel Magneto-Resistive Recording. Unfortunately all other tech specs of the drive are still unknown. The new Toshiba X300 hard drive will be on the market in June. The drive is expected to sell for around USD 430.